Throughout the first half of the twentieth century, the medium was enjoyed equally by both sexes, and girls were the protagonists of some of the earliest, most successful, and most influential comics. 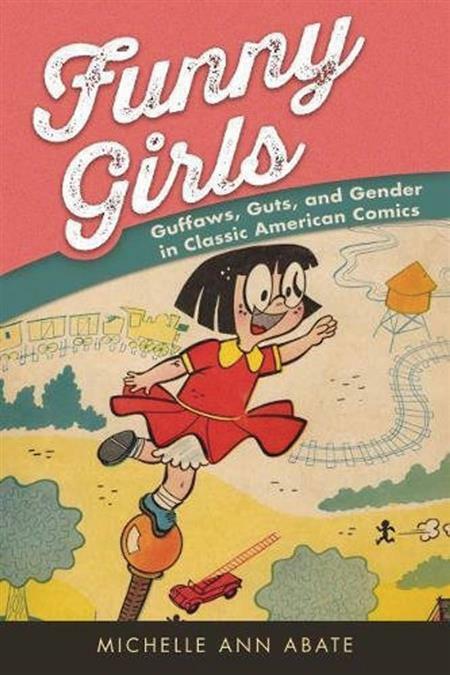 In Funny Girls: Guffaws, Guts, and Gender in Classic American Comics, Michelle Ann Abate examines the important but long-overlooked cadre of young female protagonists in US comics during the first half of the twentieth century. She treats characters ranging from Little Orphan Annie and Nancy to Little Lulu, Little Audrey of the Harvey Girls, and Li'l Tomboy, a group that collectively forms a tradition of funny girls in American comics.